For many us, growing up playing sports was the kind of activity we had the luxury of choosing or not, knowing it was always available to us. But for a number of girls around the world, the idea of playing sports and the type of freedom that comes from playing in public can be taboo or even outright forbidden. There are so many physical and mental benefits from playing sports that it should be available to all youth, but sadly that is not the case. 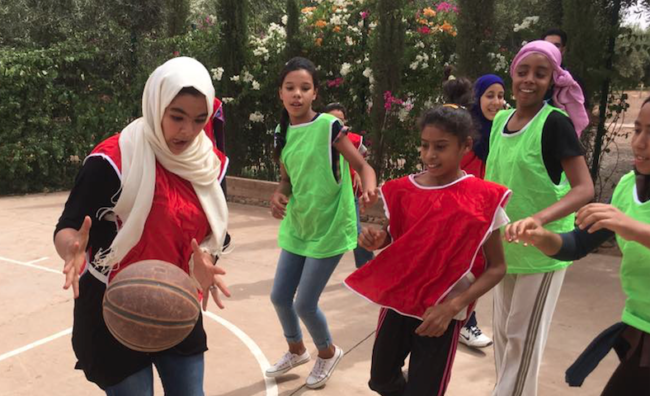 For girls in Morocco, they have been given the opportunity to engage in various sports thanks to a non-profit that was designed to empower them through physical activity. 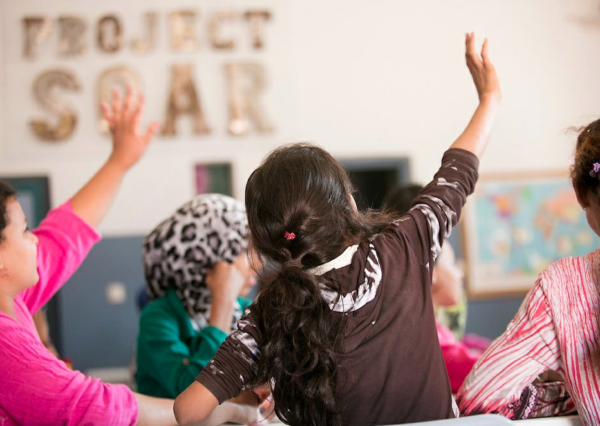 Project Soar is the organization, which was founded by American woman Maryam Montague in 2013. She and her husband has been living in Morocco since 2001 with her husband for work in the human rights space, according to a feature on Shape.com. 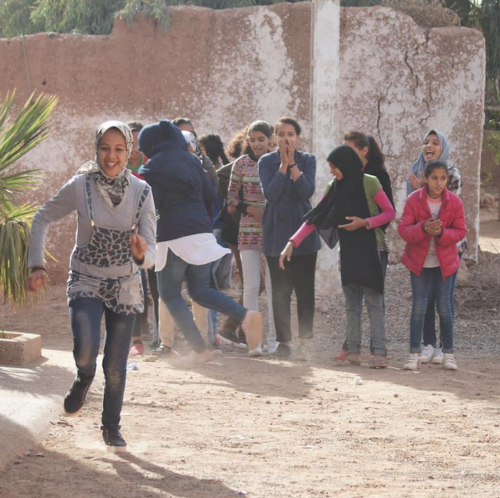 On a drive through a small village called Douar Ladaam just outside of the capital Marrakech, Maryam says she was struck to see virtually no girls playing sports in the streets among the numerous boys. She had recently given birth to a girl which made her feel for the young village girls when she did get a glimpse of them. Upon learning the reality that many young girls would face – poverty, early marriage, and childbirth – Maryam realized there was a deep-rooted cycle that had to be broken. “Girls weren’t getting a chance at a future. Girls are extremely vulnerable to a cycle where they drop out of school, marry early, and become a young mother,” she told Shape.com’s Jen Murphy. 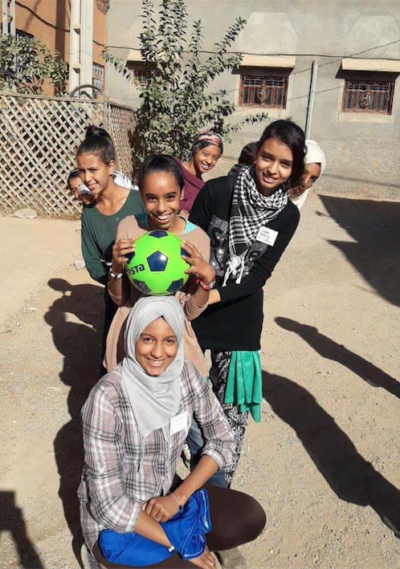 On Project Soar’s Facebook Page, they share some statistics which give you a glimpse into where the cycle of poverty begins in the lives of young girls in Morocco. Only 36% of girls in rural Morocco enroll in secondary school and the female adult literacy rate is a mere 58%. In some areas, up to 83% of women are married before the age of 18. This organization is aiming to change that with their programs which include sports, health education, and academic support. They are giving young girls new opportunities for their future. Maryam and her husband used sports as the core component of Project Soar based on what she had implemented in the lives of her own children. “My philosophy with my own two kids was that if they did sports they’d be fearless. In adolescence, we feel so awkward in our own skin and sports are a way to deeply connect with your body. The physical activity helps combat anxiety, depression, and stress, and the camaraderie builds teamwork and leadership,” she said. 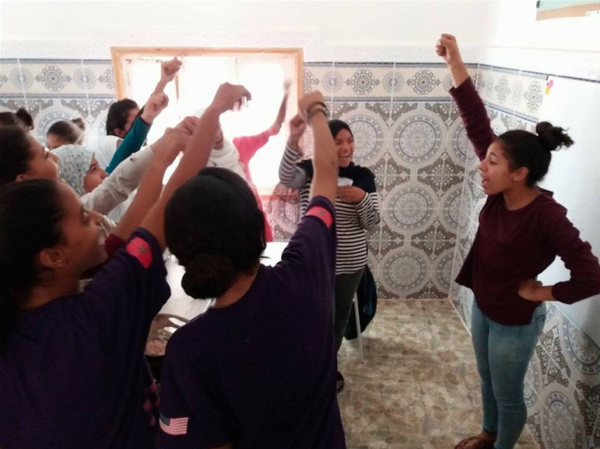 They are currently working with 87 girls from nine Moroccan villages, but to date since inception, Project Soar has helped more than 400 Moroccan girls, provided 1,000 hours of after-school programming and support with the help of nearly 30 facilitators and 300-plus volunteers. There are now 28 Project Soar chapters operating across the country. Maryam’s two children who have grown up with the program now help empower the girls who participate. Her 18 year-old son Tristan coaches the soccer team, and her 16 year-old daughter Skylar coaches the running club. Girls are only allowed to be part of Project Soar if they stay in school. The academic workshops include support classes in French, Arabic, physics, math, and science. Maryam explains that the 50-lesson curriculum, which takes a year to complete, is divided into 5 areas which she sees as the “pillars of empowerment”. “These pillars embody our belief that every girl should know their value, voice, body, rights, and path,” she said. 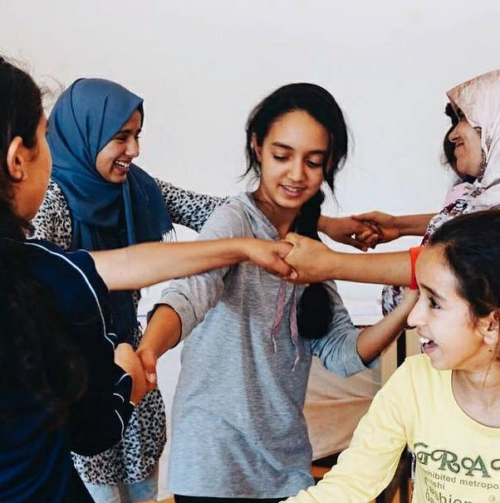 With skills such as goal-setting and conflict-resolution, the hope is that the girls participating are able to take what they learn and implement them into the future path they choose, knowing they have a solid foundation that has empowered them to know their value in the world. There are plans to continue expanding Project Soar and launch leadership camps in the future for graduates of the program, as well as local Empowered Girls Clubs that can become ongoing support even after going through the curriculum. Maryam says focusing on adolescent girls is a passion for her because it means a conscious investment in the future of a country, both economically and socially. “Empowered girls lead to empowered women, who lead to uplifting families and communities, creating a more equal and prospering nation. We view our role as guides and the girls are the heroes. This is their story. We’re the vehicle for these girls to have the brightest, most productive futures possible,” she said. You can learn more about Project Soar and find out how you can get involved by visiting the website.